Last week we looked and ranked seven non-alcoholic brews. One of our slight changes of pace. Some of you may have felt shortchanged, since these weren't particularly summer seasonals. This week we get back on track but make another slight deviation, getting away from the standard pale wheat ales that make up a majority of summer brews and instead look at two other options. 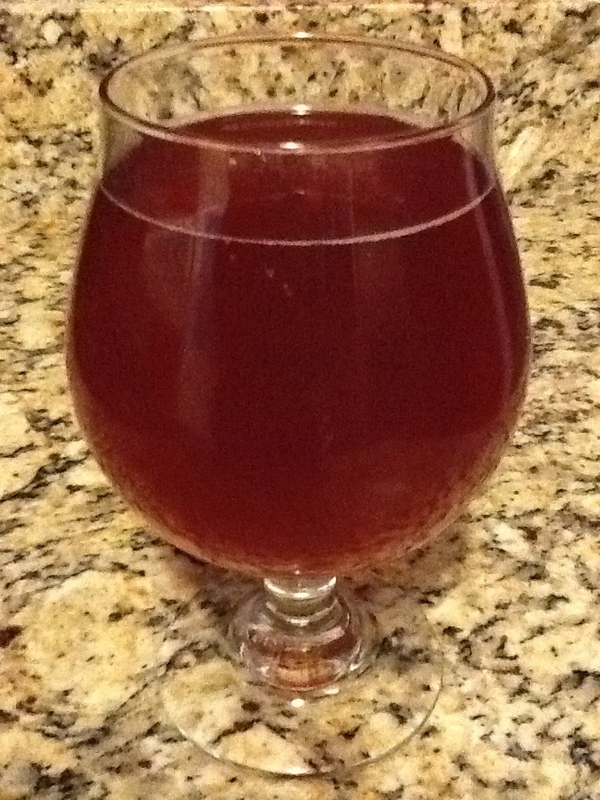 Our first candidate is Sour Cherry Ale by Flying Dog Brewery. This is a Berliner Weisse, a style of beer that we really haven't looked at too closely yet here on JGF. The style is acidic, effervescent and tart. Reminiscent to champagne in some ways. Back at the height of their popularity in the 19th century they were often drank mixed with syrups like woodruff or raspberry. With that in mind the Sour Cherry Ale comes well prepared and hits the right marks. It pours a clear red color with a pinkish head that vanishes almost as soon as it sets up. It does have a big sour cherry smell. On the drink it has decent acidity, a pleasant tartness, and nice carbonation. It is light on the tongue finishing off fairly dry. No need for a syrup with this one, the sour cherry flavor holds strong throughout the drink into the aftertaste but doesn't overstay its welcome. It comes in at a sessionable 4.6% ABV. This was a good cheese beer. I enjoyed it with gruyere, aged gouda, and some sharp English cheddar. Decent brew overall that can punch above its weight in a variety of summer social settings. Brewed in the traditional style of a Berliner Weisse, this beer has a delicate malt base that is enhanced through natural acidification in the brewhouse*. The result is a distinctive tartness complemented by the sweetness of real cherries added during fermentation. 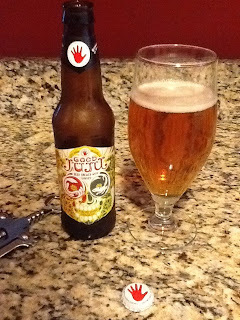 The other candidate for tonight is Good Juju by Left Hand Brewing. I have a confession to make, ginger as a flavoring makes me nervous. It can be overwhelming when not used prudently and ruin perfectly good food and drinks. I have had a few bad experiences in my time. Suffice it to say, I approached this beer with some caution. There is a faint ginger smell on the pour, and it sets up in the glass with a clear golden amber color with a minimal head that left right after it arrived. The ginger is there in the drink but as a whole it was rather uneventful. There is no real character to speak of on the drink, a faint teasing a ginger at best and the carbonation was a bit low. The aftertaste is a flat bitterness mixed with a hint of ginger. Other than the novelty of the ginger in the beer there was nothing that stood out about this brew. Remove the ginger and you are left with a meh beer. I expected a bit more zing to this and I'm left wondering what this beer is trying to accomplish. I would argue that here is a case where the brewer never figured out what the speciality ingredient, in this case ginger, is supposed to do. Is it a subtle, nuanced background item amplifying a good beer, or is it up front on center stage with the beer enhancing it? In this case it doesn't do either of these with any sure-footedness. It comes in at 4.5% ABV. I applaud the effort by Left Hand but in this case I wouldn't recommend this brew other than as a one off novelty. Fresh ginger kisses the lithe malty body, copulating with the hop in this pale ale ancestor. Beer links for the week of July 23rd!